Boy was I wrong! I have fallen in LOVE with Pic Collage this year. When we first received our class iPads on only the 4th day of school (You ROCK CCSD Tech! ), we had some app issues and were given limited options. I am not a believer in “drill-n-kill” app usage (I do believe there is a time and place for this), but I don’t believe we should use these types of apps all day. 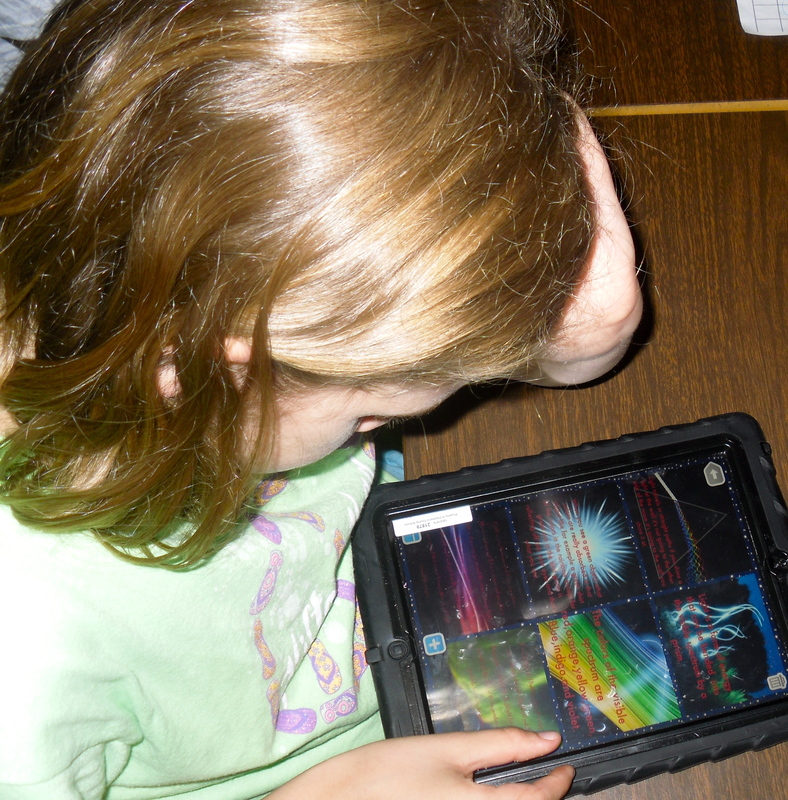 I was grappling for a creation app that was on all of my student iPads. Well, I found it. Now, I am very thankful we had “app problems” because it made me use Pic Collage in ways I had not before. When you look for a solution instead of focusing on the problem, you often come up with something innovative. We began by using Pic Collage to organize our class iPads, so we can easily identify iPads and where they belong in the classroom. We also used Pic Collage to organize our writing this year. 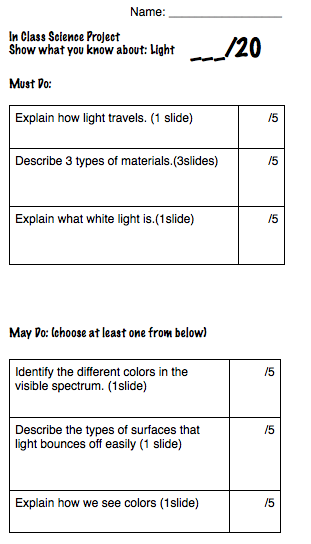 Our latest project on our iPads was to use an app of my student’s choice to review prior to our Light Unit Test. I try not to tell student, “You MUST use this app for this project.” I like to allow them options, especially by the end of the year when we have covered how to appropriately use all of the creation apps on our iPads. Giving students a say in how they complete a task empowers them! After handing my students their Light project rubric, I noticed that 98% chose to use Pic Collage to complete their project. Why? Because it is an easy to use app that allows students to display their work quickly and easily. My student’s really impressed me with this project and made me question what they could do with a rubric and WITHOUT my direct instruction. It is time to continue to move forward. How can we use what we have to produce new and innovative things? Most times, it is my students that use an app in a way I had not considered before. Have faith, introduce your students to creation apps, give them some choice and they will surprise you! Share or like this with the world below. Comments and Questions are always welcome!